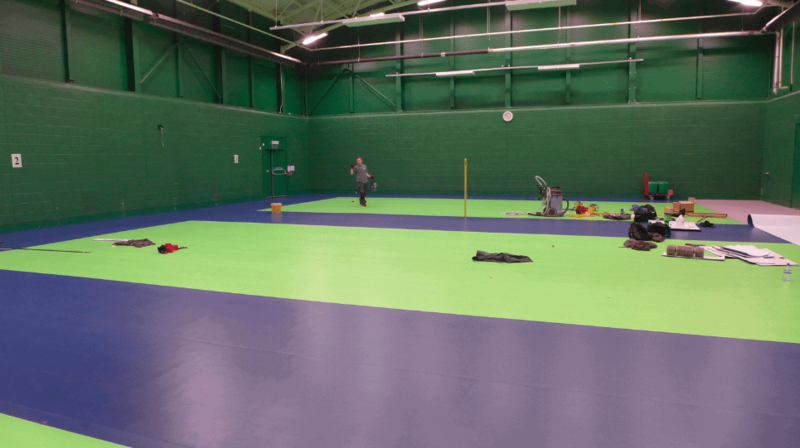 This week we completed our installation at the Tyneside Badminton Centre. This installation was part of a refurbishment project and we specified the Gerflor Taraflex Ecofit system. The centre required funding which once approved meant we could go ahead with the installation. Ecofit is a lose lay system which enabled us to do the sports floor installation in a shorter timeframe. 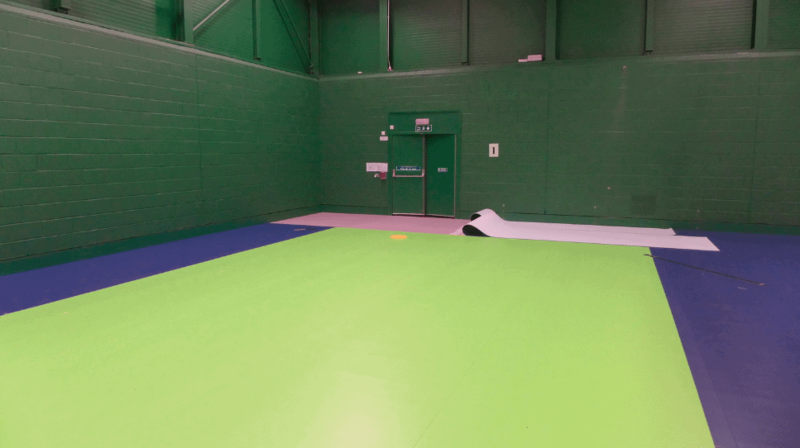 We installed the Gerflor Taraflex Ecofit system over the existing timber floor which created a superior combined elastic surface which is ideal for badminton. 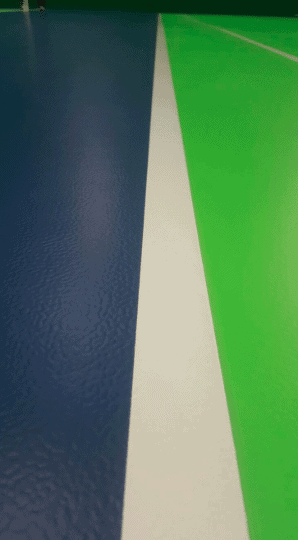 A two colour combination design was chosen by the facility highlighting the 3 badminton courts. Line marking for badminton and bespoke trims were added to complete the project, which was both on time and on budget.